The Secret Diary of Steve Jobs : Howard Stern on Line 1. Holy crap. 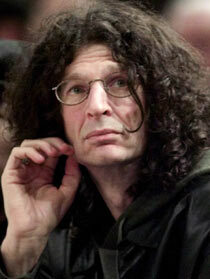 Howard Stern on Line 1. Holy crap. So Steve Dowling, our PR guy, comes in to see me in a panic. He says he’s got Howard Stern and Daniel Carver from the Ku Klux Klan on the phone and they’re insisting on talking to me, and Dowling says, Steve, I’m sorry, but I think you should take this call. 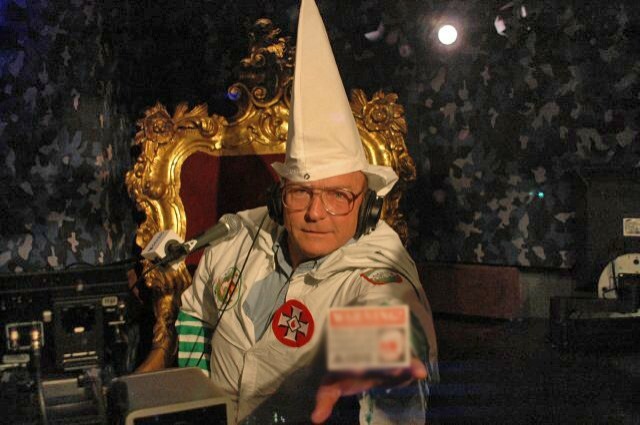 So we put them on the speaker phone and Howard says they want me and Eric Schmidt to go on the Stern show and accept some kind of “Whitey” award from the Klan for having the least number of black people involved in running our companies. They say they went to Google’s management page and figured out that out of 32 top managers and 11 board members, there’s only one black dude. Then they went to the Apple management page and found that out of 9 top managers and 8 board members we have zero black people. Meanwhile Howard and his producer are laughing their asses off, talking about how they’re gonna make a stage like the Oscars and call their show the Whiteys and who can they get for presenters, maybe Bill Maher can host, and everyone can wear white tuxedoes and they can get Justin Timberlake and K-Fed to do some white rapping, they’ll give Bill O’Reilly a “Top News Racist” award and Pink can get an award for Best White Impersonation of a Black, and Bryant Gumbel for Best Black Impersonation of a White (but Howard goes, I dunno, is Bryant actually black, we better check) and they’ll give Brigitte Nielsen a “Hall of Shame” award for her fling with Flavor Flav, they’ve got a call in to Dreamworks, ha ha ha. Dowling is standing there with this look of horror on his face — apparently this is about as bad as it gets if you’re a PR flack. Oddly enough he has the same look as the Sony dude who was gonna commit seppuku in my office the other day. I’m not sure where to go with this so I tell Howard that while we don’t in fact have any black people we do have a guy named Sina Tamaddon who’s from somewhere foreign or something. I think. Howard goes, Nope. Doesn’t count. Dowling starts ripping through the Google page on his laptop and he points out that Google seems to have a few Indians but Howard just laughs and says, Nope, nope, nope. You guys are winning a Whitey, and you can either come accept it or not, I don’t care, we’ll get look-alikes or impersonators to play you anyway. He says they’ve also got awards for Cracker Barrel and Clear Channel and a special lifetime achievement award for Sumner Redstone and CBS because they have the balls to put this big thing about “Diversity” on their website but when you click through to their management page it looks like this. Howard goes, Man, now that’s what I call diversity, right? They’ve got every shade of white there is. Man oh man. So Steve, just imagine it, you and Eric Schmidt, the two most progressive leftie liberal tech guys in the world, striding up to get your award and tell the world, Don’t be evil — be white! Wow! Dowling just loses it and does, Okay this call is over, and he hangs up. We both just stand there. I go, Steve, I’m not a racist. Honest. I’m just not comfortable around them. You know what I mean? Like, do they hate me because I’m white? I never know what to say or whatever. I mean, where I grew up there just weren’t a lot of black people, you know? So I didn’t really know any black people when I was a kid or whatever, and um, it’s really hard to find black engineers. We’ve tried, really. We work really hard on this. Dowling just shuffles out with this empty look in his eyes, like a guy who’s going to be executed at midnight.